Tanzania is a fascinating mix of culture and biodiversity. You will never run out of things to do in Tanzania. Whether it is the Serengeti National Park, or the Ngorongoro Crater, adventure awaits at every beck and turn in this beautiful country. 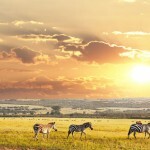 The only question you need to ask is- when to visit Tanzania? Of course, you would not want to end up in the country at the wrong time and miss out on its most famous experiences! So, what’s the best time to visit Tanzania? Let’s see! The best time to see the wildebeest migration is between June - July and January - February. When to visit Tanzania depends on the activities you want to partake in. That said, there are some seasons in which Tanzania’s beauty reaches a pinnacle. 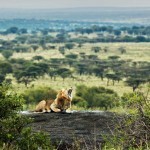 The high season is between the months of June to September, and this is definitely the best time to visit Tanzania. You’ll find a number of tourists at this time because these months are perfect for trekking and safaris. Another great time to visit is the months of January and February. Weather in Tanzania is quite warm, but bereft of any rainfall. It’s during these months that the wildebeest herds move to the Serengeti, so you will be treated to the sight of a lifetime. This is the best time to visit Tanzania. The weather is quite mellow, there is no rain, and there’s a high chance of spotting animals as well. By June, the wildebeest migration starts, and they start moving towards the north and west. The lack of water during this period makes all the animals (including buffalo, elephant, topi, and even the big cats) congregate around watering holes, making them easy to spot. 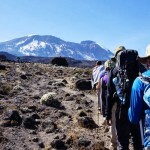 Highlights: This is a great season for hiking and trekking Mount Kilimanjaro. 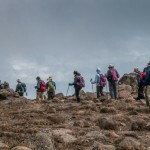 Even though it is the high tourist season, the peaks are usually not crowded, so you will have an exquisite hiking experience, without having to suffer a million mosquito bites. This is also the best time to visit Zanzibar, or one of Tanzania’s many beautiful beaches and islands such as Mnemba and Pemba Islands. Eid-al-Fitr, Zanzibar’s biggest celebration takes place in August, and you definitely do not want to miss out on the celebrations. These are the hottest months on the Tanzanian calendar, and there are scattered rains between October and November. It usually rains in the afternoons, so you might want to find shelter around that period. The off-peak season offers a great opportunity for people who want to visit Tanzania without any of the crowds, and save a lot of on air tickets as well. Highlights: The northern circuit parks are a popular destination during these months, as the rains are pretty scattered, and the lush greenery in the area makes it worth the visit. If you want to visit Serengeti National Park, Ngorongoro Crater, or Lake Manyara, this is a good time. October is also a good season for those who want to go to the coastal regions to enjoy water sports, or spend a nice, sunny afternoon in one of Tanzania’s many beautiful islands. The weather in Tanzania gets a little dry around this period, with some respite from the rains. 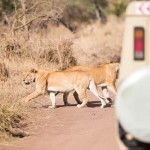 If you are visiting the northern parks, like Serengeti, Olakira Camp, Plantation Lodge, etc. you will experience little to no rainfall, however, the same cannot be said of the southern and western parks. It would be wise to avoid Gombe, Selous, Mahale, Selous, and Katavi during this period. The season attracts a number of tourists, so expect some crowds during this period. Highlights: You can get some spectacular views of wildebeests and zebras at the Serengeti during this period as the birthing of wildebeest calves and fascinating predatory action takes place in these months. Towards the coast, the winter sun is still pleasant, and the rains are bearable. There will be a lot of mosquitoes, so make sure you carry your bug repellents. There are some exciting events lined up in these months as well. The traditional Wanyambo Festival takes place in January, and the Kilimanjaro Marathon happens in February. In the months between March - May, the weather in Tanzania is at its wettest, and the months that attract the least number of tourists. It rains heavily, on a daily basis, and the cloud cover is also quite dense. This affects visibility making it more difficult to see those animals, and also makes it more difficult to trek. The coastal regions are particularly affected during this period, as the rains are extremely heavy in these areas. Highlights: This season is great for bird watchers, as migratory birds like yellow-billed stork, African openbill, saddle-billed stork and black kite make their presence felt in the country. These birds are best viewed in Ruaha National Reserve. If you are in Tanzania in May, head over to Kigitonyama to enjoy the spectacular Mzalendo Halisi Music Festival, which is one of a kind! 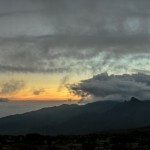 “Which is the best route for Kilimanjaro?”.. Many people planning on climbing Mount Kilimanjaro are..
Mount Kilimanjaro located in Tanzania is the highest.. Trips to a European city or a Caribbean..
Breathtaking ruins, the seductive Mount Kilimanjaro, a fascinating..
Stalk the stalker, watch it pounce upon its..